The global military radar market is worth US$9.16 billion this year and is predicted to grow further in spite of sharp budget cuts over the next decade, according to a new Visiongain report. Developed economies are seeking to maintain dominance in new radar technological developments and, as new radar development will normally take between five and 10 years to reach production and deployment stage, countries are willing to inject large sums into their development, the report said. Meanwhile, the surge in ability and willingness of developing and high-growth markets to acquire more advanced systems in recent years shows no sign of abating. Visiongain calculated that in 2010 the global market for military radar systems amounted to US$9.248 billion. The global military radar systems market is to be resilient in the face of sharp budget cuts over the next decade. The market is also currently in the throes of technological advances that will ensure strong growth in the coming years. 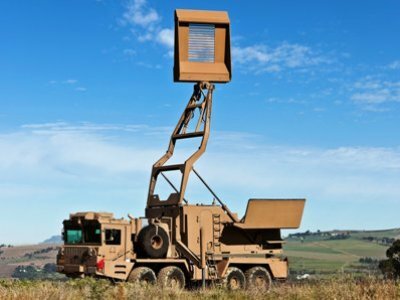 In spite of declining defence spending in the US, Europe and other developed economies, radar systems have been identified by governments as an investment priority, as developments in active electronically scanned array (AESA) and multi-mission capabilities require procurement agencies to maintain the relevance of ground-based, airborne and naval military assets, Visiongain said. The self-evident utility of radars in their intelligence gathering and protective capabilities mean that governments are unlikely to jettison plans to acquire or at least upgrade these critical systems. Moreover, the drive towards standardisation and modularisation of systems is likely to offer considerable opportunities for companies that can supply such solutions. The Visiongain study sees the military radar systems market as including four sub-sectors: naval, airborne, ground-based and space-based systems. The ten largest markets for radar equipment are the US, the UK, France, Russia, Israel, Italy, Germany, Australia, China and India.